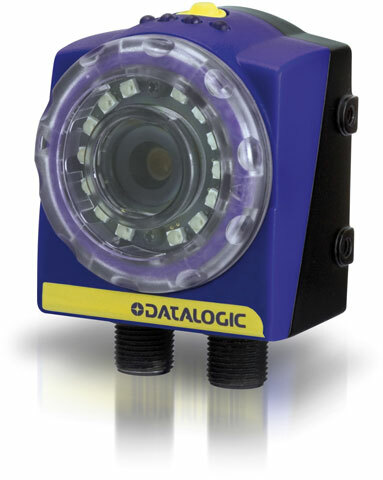 The Datalogic DataVS2 ID ID vision sensor series perfectly matches the ease-of-use and the cost-effectiveness of DataVS2 ID with the powerful decoding libraries coming from the Datalogic tradition thus representing the perfect entry-level solution for all the identification needs. The sensor can be easily configured with a Graphical User Interface via Ethernet and does not require complex and time consuming setup. DataVs2-16-Re-Id 16 Mm Lens, Ethernet & RS-232, Identification. Priced per unit. 4 week lead time. DataVs2-08-Re-Id 8 Mm Lens, Ethernet & RS-232, Identification. Priced per unit. 1 week lead time. DataVs2-08-De-Obj 8 Mm Lens-Ethernet Conn. Priced per unit. 1 week lead time. DataVs2-16-De-Aor 16 Mm Lens, Ethernet Conn., Adv. Object Recognition. Priced per unit. 4 week lead time. DataVs2-16-De-Obj 16 Mm Lens-Ethernet Conn. Priced per unit. 4 week lead time. DataVs2-08-De-Aor 8 Mm Lens, Ethernet Conn., Adv. Object Recognition. Priced per unit. 1 week lead time.